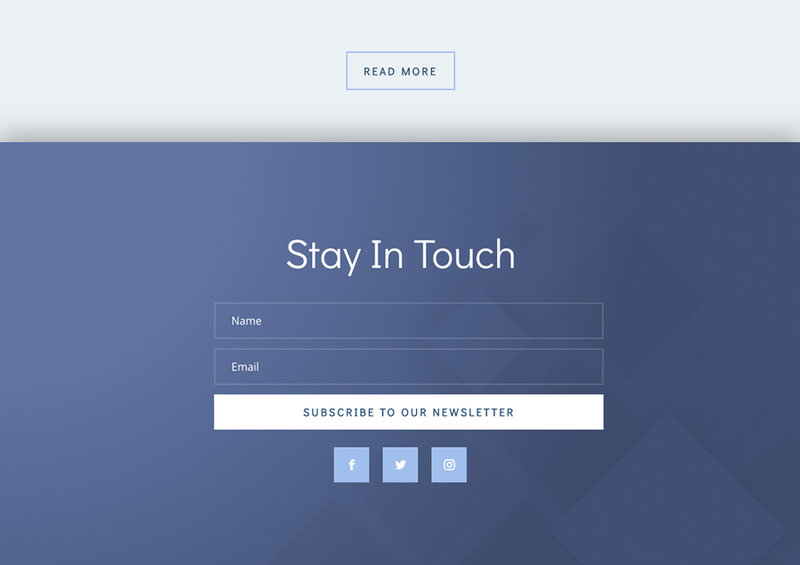 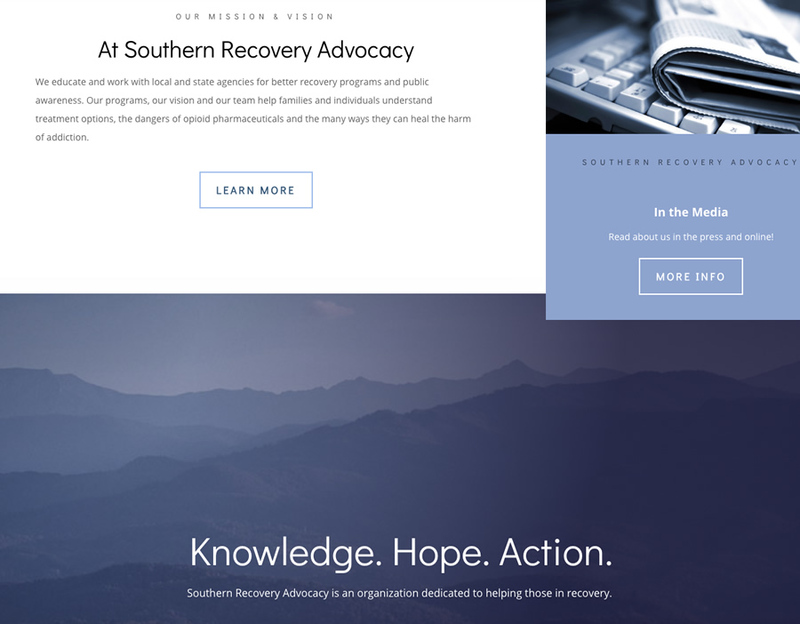 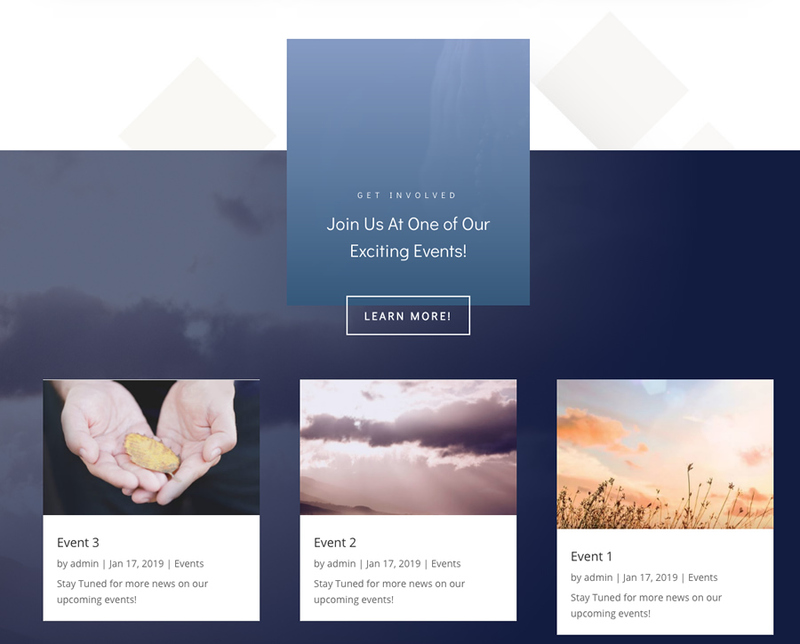 Southern Recovery Advocacy is a multimedia responsive website that was custom built to client specs in order to promote the non-profit organization’s mission to provide legal and other support to those in recovery. 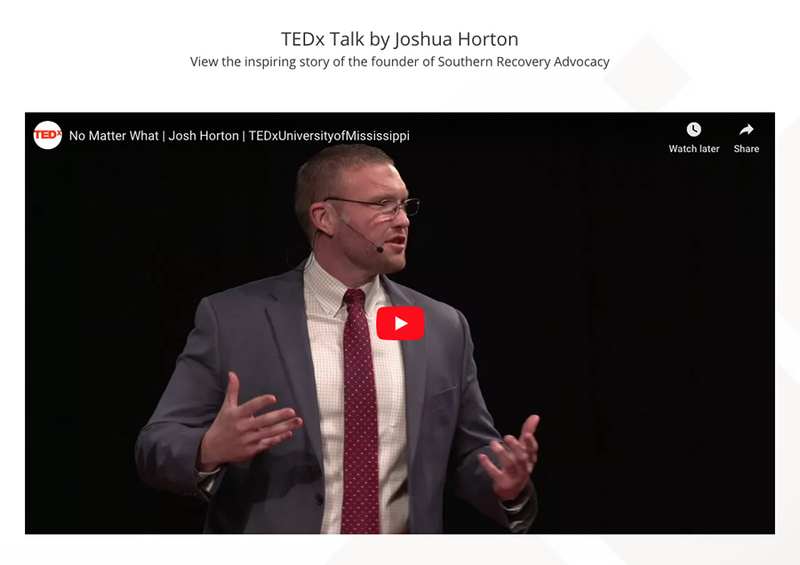 The organization was founded by Joshua Horton, an attorney who specializes in mass tort cases related to opioid addiction, distribution and fabrication. 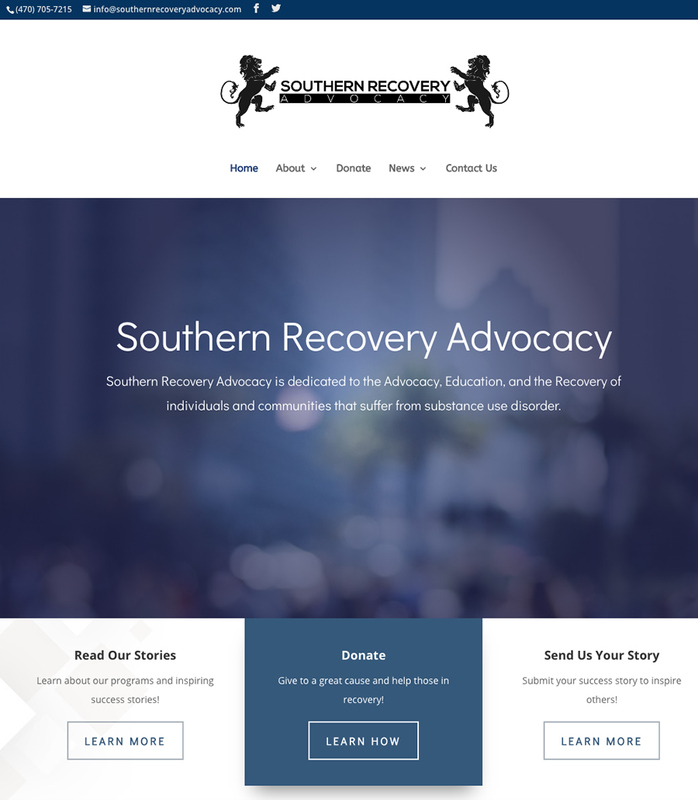 The site includes embedded videos, embedded social media posts, media clippings with links, an internal blog and a newsletter sign up page.